To say I am excited about this brand new trail is an understatement! 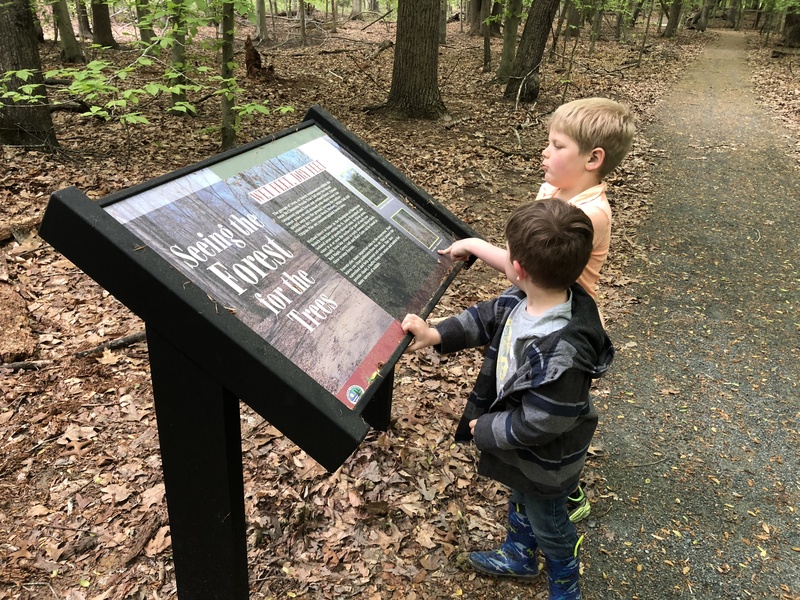 It does get exhausting to have to drive an hour (+) for a lot of our adventures and it does get boring to go to the same few places locally over and over again so the Fork Branch Nature Preserve trail is a welcome addition to our Kent County, DE list of places to explore. Because it is so conveniently located, you can make it a stop on the way to the grocery store, or even as a reward for good behavior on the way home. We went on our way to Sam’s Club! 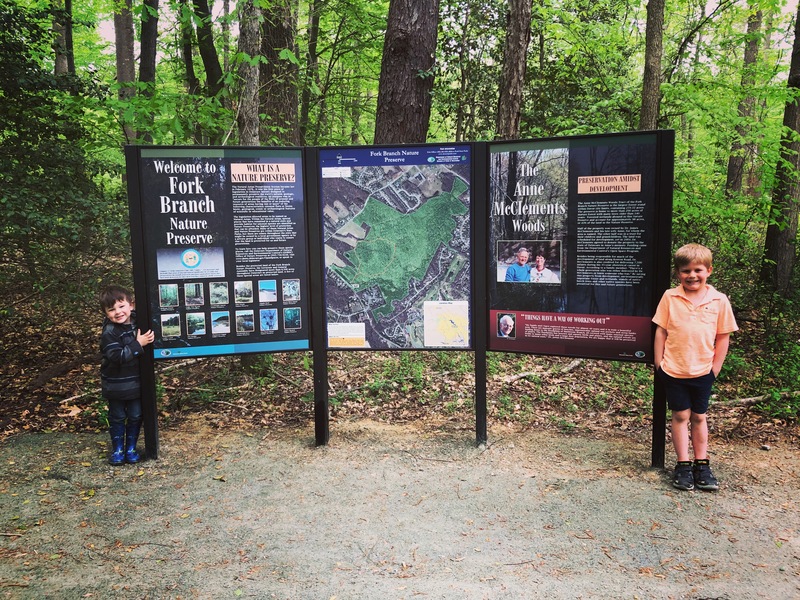 The trail is an easy one mile loop that is not only stroller friendly but also handicap and bike friendly. There’s a portapotty in the parking lot for emergencies although my kids seem to think they are some sort of novelty much to my disgust and always beg to use them everywhere we go. Barf. 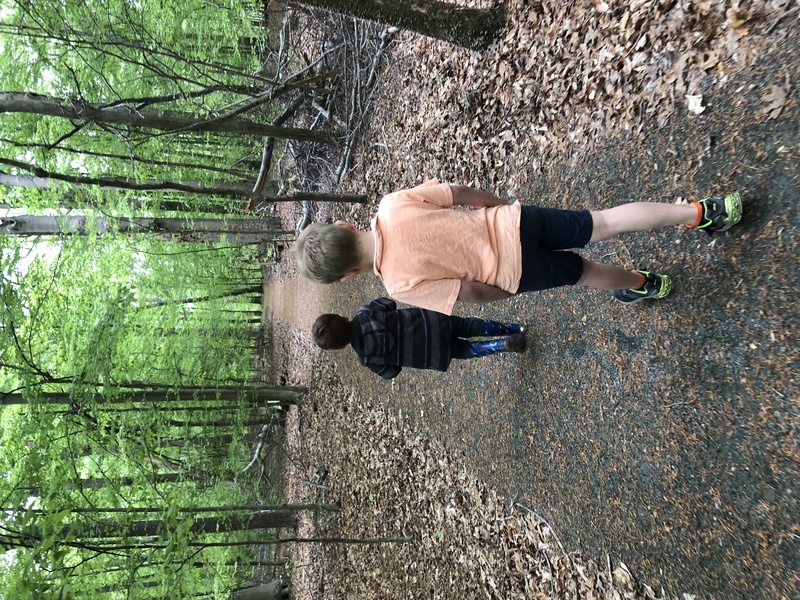 Since we are at an age where my youngest is transitioning from being either worn in the carrier or pushed in the stroller for the majority of our hikes, to walking the whole thing, we have been trying to stick to a mile or less for his little legs so this trail was perfect for him! We finished it in about an hour and weren’t rushing. The vast majority of the walk is through a dry, open forest so while there aren’t a lot of understory plants or wildflowers, it’s super serene and refreshing. 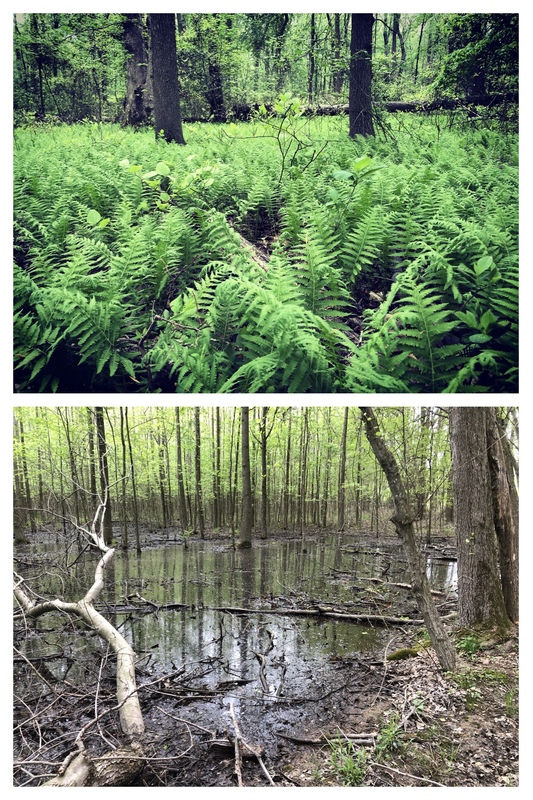 There are several gorgeous patches of ferns and one or two large wetland areas. That’s where you’ll be most likely to find interesting plants and if you’re lucky, maybe some amphibians. We went on a cooler day, but I’d imagine those sections will get quite buggy during warmer weather so definitely keep the repellent handy. My kindergarten reader really liked stopping at each of the signs along the way to see how many of his sight words he could find and we even learned how the forest is like a cake! 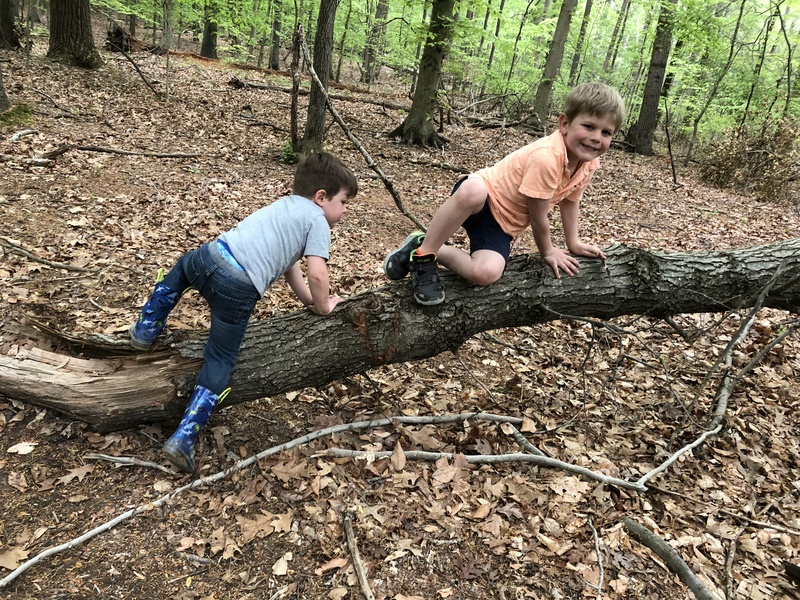 I’m hoping that all of the local schools will catch wind of the new preserve trail and take advantage of the opportunity to move class outdoors every once in awhile. As of right now there is no driving address, but the closest residential address to the entrance to the parking are is 2373 Kenton Rd. Dover, DE (sorry if this is your house!) That should get you pretty close to where you need to be to find it if you aren’t from the area. Unfortunately, as of right now there is no sign marking the entrance, just a black gate so it’s a good idea to take a look at the map before driving there so you can familiarize yourself with some of the local landmarks. Personally, I used Baltray development as the easiest one as I was coming from that direction and knew the preserve would be just past it. Currently the loop is in purple on the map below and you can clearly see where Baltray is located in relation to the entrance. We are looking forward to writing about the phase two trail in the future!